Forum Lighting Asti LED wall mounted 3 x magnifying mirror features a circular back plate with a twin swing arm holding a semi-circular frame that allows the mirror to swivel to give you maximum freedom of movement. The product code for this fititng is SPA-31763-CHR. This simple yet elegant design is both stylish and practical and is operated by a designated touch pad on the mirror. The contemporary polished chrome finish means this will undoubtedly be the perfect finishing touch for all kinds of decors and the being battery operated make it a versatile lighting solution. IP20 rated for bathroom use, with 3 x magnification and the integrated LED has an average lifespan of 50,000 hours. 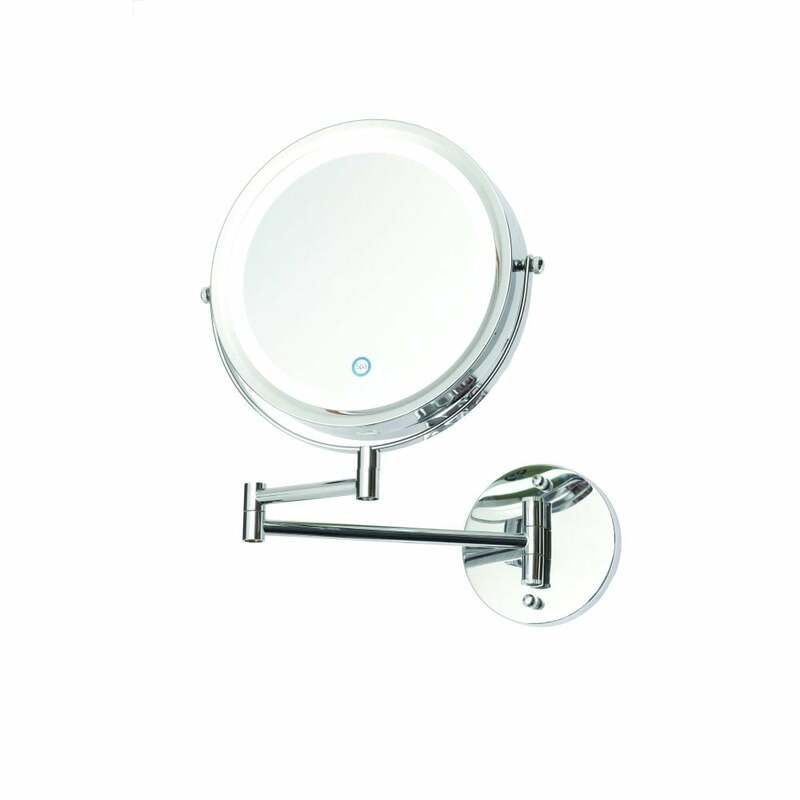 A wide range of bathroom mirror lighting can be viewed on our website.